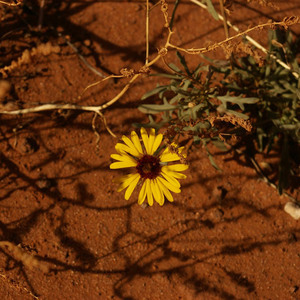 Our first story for November is "Autumn" by Estelle Breyer. This lively seasonal movement journey is included in her book Eurythmy for the Young Child: A Guide for Teachers and Parents. 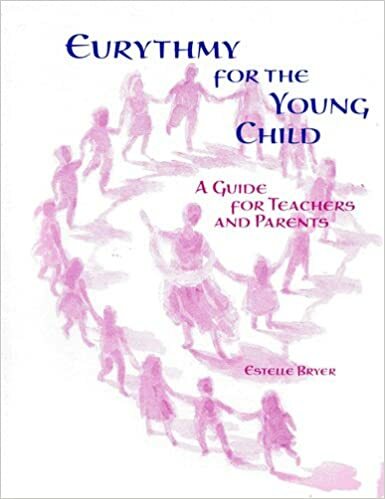 This book was also revised and later re-published under the title Movement for the Young Child: A Handbook for Eurythmists and Kindergarten Teachers and is available free as a PDF for download from the Online Waldorf Library. The "Autumn" story is on pages 38-39 in both editions. Repeat the story structure with other animals who come to visit the cave. This Eurythmy exercise is one of the basic eurythmy warm-up exercise, based on Leonardo Da Vinci's drawings that show the geometric proportions of the human body. Eurythmy is a meditative art of etheric mindful movement, sacred dance for body, soul and spirit, born out of the work of Rudolf Steiner, originator of Anthroposophy and founder of the Waldorf school movement. There are occasionally videos on Youtube which can show you how to do some eurythmy movements. The one I found most helpful when I was preparing for this "Autumn" story was this one on the evolution sequence of consonants. It goes through all of the houses of the Zodiac and tells you the consonant and the gesture for each constellation. Then he shows how to do the eurythmy movement for that sound (in arms and in legs). The recording is very quiet so turn the sound all the way up. Krzysztof Bieda also made a more detailed video for B with a eurythmy veil. In searching for the remaining letters I need to know for this story, I found Cynthia Hoven has a Youtube channel where she has a video for Aries and the W and V sounds. She also did Scorpio (S), Libra (C or CH or TS), Virgo (B and P), Leo (T and D), Cancer (F), Gemini (H), and Taurus (R), as well as some assorted other videos and some poems. I also needed K and the only quick mention I found of it was in this tiny Eurythmy Alphabet video. I actually do rather like the idea of doing the clapping for the knocking (instead of the K gesture) because I like the idea of just tapping fingertips together when the mouse comes, for his tiny knocks on the door. If you're interested in the vowels, I liked this video from Prairie Moon Waldorf School with Therapeutic Eurythmist Rachel Ross, M.Ed. It only shows the first vowel, Ah, but it's lovely and they've put together a series of nine video files of her eurythmy exercises from the Summer 2013 Waldorf Teacher Preparation Course for sale in their training videos collection. So, now I feel prepared to tell this "Autumn" story and I hope these notes and links are helpful to others as well! When my now 16-year old daughter Natalie was three I bought her special eurythmy shoes. I just found them and Zac's feet are already too big! So if anyone is interested in buying them, please let me know. Eurythmy is a movement art and there is no question that it really needs to be shared in person or by video. There are, however, plenty of books on it. Reg Down wrote Leaving Room for the Angels: Eurythmy and the Art of Teaching as well as Color and Gesture: The Inner Life of Color (which I just purchased). I also have The Healing Art of Eurythmy by Truus Geraets as well as Come Unto These Yellow Sands: Eurythmy, Movement, Observation, and Classroom Experience by Molly von Heider and Allegro! Music for the Eurythmy Curriculum by Elisabeth Lebret. Many of the exercises in Mary Nash-Wortham and Jean Hunt's wonderful Take Time: Movement Exercises for Parents, Teachers and Therapists of Children With Difficulties in Speaking, Reading, Writing and Spelling are also based on curative eurythmy.